Bibliography: Nagler, Lex. 174 (vol. 10, p. 128); Montaiglon 307; Print Collector’s Quarterly, vol. 11 (1924), plate 6. 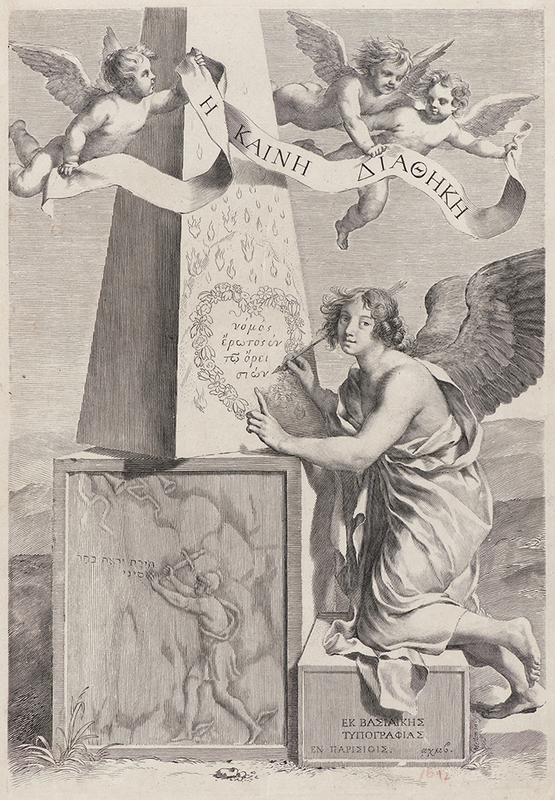 Frontispiece for a New Testament Greek Bible, . Engraving. DAC accession number 1958.23.1. Olin Library transfer, 1958. Open Access Image from the Davison Art Center, Wesleyan University (photo: M. Johnston). http://dac-collection.wesleyan.edu/obj9503 is a persistent link to this page with no user-session information.